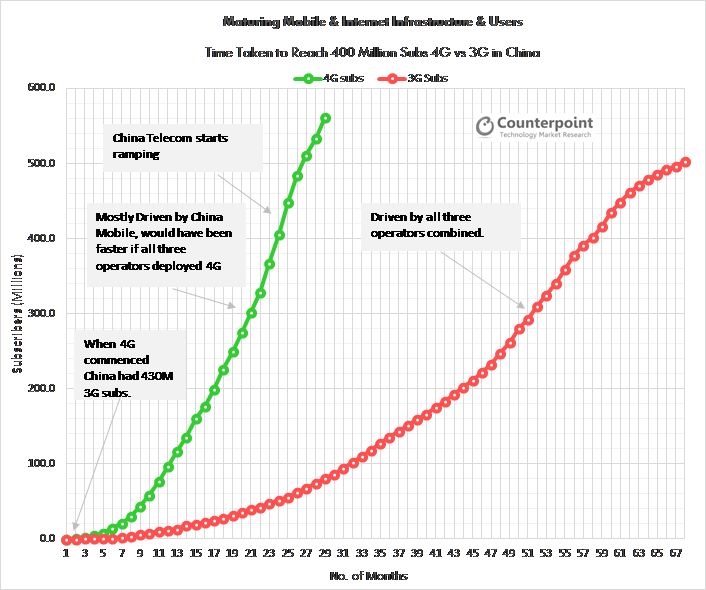 We have discussed before (here) on how 4G LTE has been leapfrogging 3G adoption in China and the key reasons which have driven this ramping adoption. China has more than 1.3 billion subscriptions out of which LTE subscriptions have crossed 500 Million mark at the end of March and closing in on 600 million LTE subscriptions in July 2016. 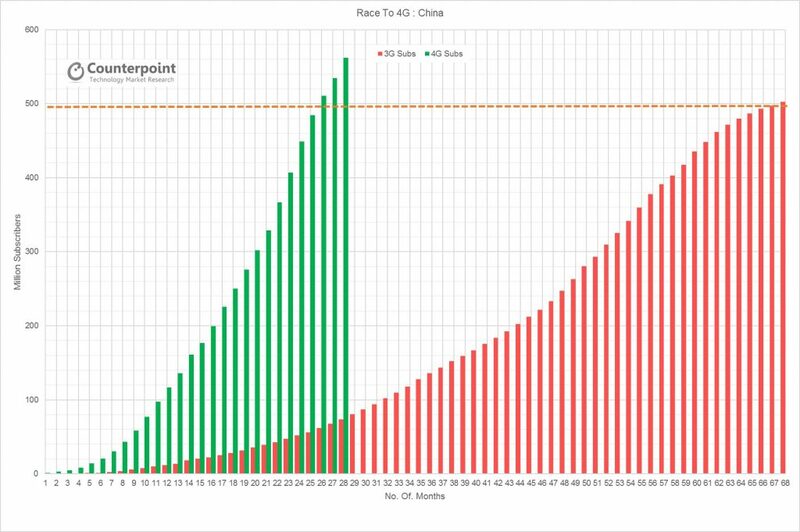 It took just 26 months for China to reach 500 million LTE milestone compared to 3G subs which took almost 68 months to reach the same milestone. In last 12 months alone, China saw more than 360 million net subscriber adds for 4G LTE, which is a record. Almost 98% of smartphones sold in China are LTE capable, driving further adoption of LTE services among consumers. China Mobile, the world’s largest wireless operator, has been the key in driving this adoption. 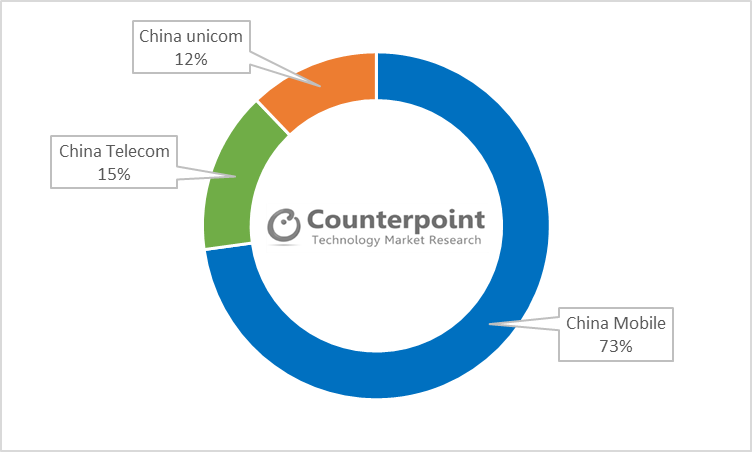 It commands almost three fourth of the LTE subscriber base thanks to its early lead, broader network coverage and proliferation of sub-100 yuan LTE phones. China Mobile has sold more than 500 million LTE devices since launch with more than 2000 SKUs supported by wider coverage which has grown thanks to almost 1.3 Million LTE base stations with 300,000 to be added further this year. Rolling out LTE-Advanced or 4G+ will be the key theme this year with VoLTE (Voice over LTE) and Carrier Aggregation (CA), the key features to be highlighted alongside multi-mode and multi-band support for global roaming capabilities for devices on China Mobile’s network. 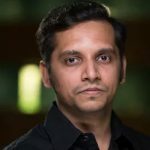 The scale here we are talking about is enormous for any player in mobile value chain. It will continue to be challenging for China Unicom and China Telecom to catch up with the giant counterpart which has also ramped up its services and ecosystem strategy. China Mobile is already pushing for massive IoT devices support in upcoming network upgrades to take the 11 million IoT devices spanning across industrial and automotive segments to almost 5 billion devices in next five years. China Mobile is eyeing $15 Billion in revenues from IoT segment alone in next four years. Rolling out advanced fixed and mobile broadband to reach 18 million home broadband subs this year which will also be a key to China Mobile’s IoT strategy by focusing on “smart home” segment. China Mobile is becoming a case study in itself on how operators are driving their own ecosystem, firstly, with NFC capability in its handsets to drive NFC based services adoption. Transportation (NFC driven ticketing and so forth) has been the key area China Mobile is focusing on. Its Hebao service already has 1o million users with NFC based transportation ticketing across 66 cities and rolling out to 100 cities later this year. More than 60 models support NFC currently and targeting one use-case at a time is more prudent approach. Connected Car would be the next segment China Mobile we go after with its blanket coverage and boost the ARPU, an interesting space to watch from now on. These services should allow China Mobile to attract and lock-in more users into its ecosystem taking share further away from China Telecom and Unicom.